GALLIPOLIS — The Tractor Supply Company Mobile Fair Tour is looking for OH 4-H and FFA youth who showcase what it means to be a great neighbor. Originating last year, the “Great Neighbor” Essay Contest is an experiential component of the retailer’s Mobile Fair Tour—a 24-stop journey across the United States that will begin its route June 1 in Kentucky and conclude Nov. 10 in Nevada. Beginning Tuesday, March 27, 4-H and FFA members living near the Pickaway County Fair in Circleville, Ohio, can enter the contest by submitting an essay in response to the following: Choose one memorable 4-H or FFA experience and explain how that experience has influenced your development as a great neighbor in your community. 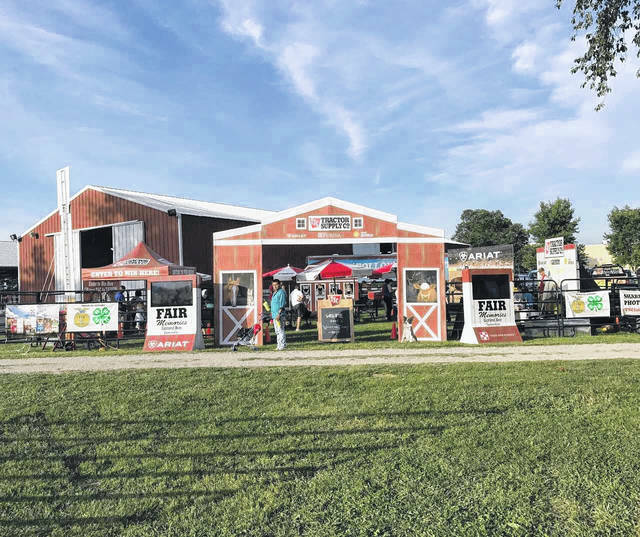 Tractor Supply will select five local winners to receive a commemorative plaque and Tractor Supply gift pack during a recognition ceremony at the Pickaway County Fair on Saturday, June 23. The “Great Neighbor” Essay Contest closes Sunday, April 29 at 5 p.m. CDT. To enter, eligible 4-H and FFA members should visit TractorSupply.com/FairTour to submit an essay, review contest rules and regulations, and view a list of fair stops. Last year, Tractor Supply recognized more than 90 4-H and FFA youth for their community contributions at 19 fair stops across the country. In addition to honoring contest winners, the Mobile Fair Tour features free, family-friendly activities and prizes to enhance the fair experience. Submitted by Tractor Supply Company.